Organizations are flocking to modern BI to empower more people in their business with faster insights through visual, self-service analytics. You may be completely sold on the benefits of modern BI, but you’ll want to look carefully at your reporting and analytics to ensure you modernize for maximum value. Many organizations are also wary of the migration process and how to escape the maintenance dilemma—if you move too late in an annual maintenance cycle, you could risk not completing your transition before renewal; if you migrate too early, you pay more for overlapping BI systems. Sometimes, replicating certain reports in a modern platform may be as simple as copying and pasting the SQL behind them, and from there, users get the benefits of further analysis with a self-service tool. In other cases, there may be more work to realize analytics value or cost savings. Ultimately, you may risk stalling your adoption if the business doesn’t see value one way or another. Identifying the right use cases to modernize is critical to secure wins that demonstrate a return on investment—whether it’s reducing spend on BI technology, time savings, or new insights that impact the bottom line. If you have large volumes of reports that are outdated, unused, or overlapping — If you have thousands of reports, you’ll likely find multiple copies, near-duplicates, and reports that aren’t used anymore. While inventorying your reports, take a step back and think about why so many reports are being created in the first place. You’ll have opportunities to sunset older reports and consolidate where there is overlap. For example, if the same type of report is being run for different regions or different salespeople, time and effort can be saved by applying parameters to tailor the information to relevant parties. If you’re using a traditional platform for ad-hoc analysis, but not to produce reports — The approachability and speed to insight of modern analytics will provide great value. The migration should be straightforward if your business rules and logic are at the source data and your semantic layer is used just as intended. If you’re using a traditional system as a data export tool — Do users put their data into Excel for downstream analysis, or even put traditional BI exports into a modern platform for ad-hoc analysis? It’s time to consolidate systems. Modern analytics will not only provide users with powerful, user-friendly analytical and sharing capabilities, but also preserve data security that’s at risk with files and email collaboration. If you’ve built business rules in your semantic layer (or worse yet, in individual reports) to enable ad-hoc analysis — The process to deconstruct your semantic layer and recreate your metadata for wider analysis will be more complicated if you’ve applied business rules or created new fields in your semantic layer or reports instead of an ETL tool. If your traditional system is bound by your technology stack — Certain processes within your data pipeline may rely on specific functionality of inflexible tools within your larger technology stack. Sometimes, you may only have an enterprise BI tool as a result of other packaged products. In these cases, integrating, migrating, or re-creating aspects of your data workflow may pose additional challenges. If you have strict regulatory or compliance requirements — Certain regulatory requirements may not be met by modern BI solutions out of the box. However, modern platform flexibility can be met with the additional products, processes, or support required to make compliance possible—and you may still see savings from consolidating BI systems. If modifying your reporting outputs has a significant downstream impact — If you’re using a traditional platform to generate feeds or outputs with inflexible workflows, moving these reports into modern BI may affect others downstream. Customers or partners that rely on your data likely have specific needs and workflows for their analyses, so be sure to consider the impact of implementing a new technology. It’s also important to be aware of how the perspectives of those in a traditional reporting pipeline may influence the scoping for modernization. If IT typically executes on report requirements that inform the report’s look and feel, they may not be aware of the capabilities of a modern platform to perform the same analysis but with a different design. (They may have employed certain reporting layouts for years simply because it was the best way to print them.) Casual business users viewing dashboards and reports may also need to warm up to new layouts until they see firsthand how the modern platform satisfies their needs and enables them further with self-service analysis. Initial apprehension may feel like a roadblock, but on the other side of the coin is a great opportunity. The costs of supporting multiple platforms is a typical concern for organizations looking to migrate to modern analytics—especially for those who plan to sunset the traditional system. The perfect timing will vary from organization to organization based on which traditional platform you’re using, where you are in your maintenance contract, and how complex your data pipeline and environment are. Some organizations see immediate benefits of self-service analysis through a proof of concept and proceed with a migration even if they are early into a renewed maintenance contract with their traditional BI vendor. For others, reducing costs is the only way to make the move possible. If your migration absolutely hinges on spend, you may want to kick off an assessment now, and identify a timeline that makes the most sense for your organization financially. While less common, another option may be to ask your modern BI vendor about a maintenance contract buyout or credit. This may be an option with a multi-year enterprise agreement, and if you’re confident enough in the value of modern analytics and solution provider. The first phase involves planning and piloting, which typically includes scoping, an inventory of your reporting and needs, and a closer looking at your financial model to develop the necessary strategy for the migration. During this time, you’ll also need to establish or evaluate your cross-functional steering committee, organizational roles, responsibilities, and license needs, and key aspects of your data and governance strategy that will set users up for success. The second phase is the heavy lifting to migrate the most impactful modern BI content. 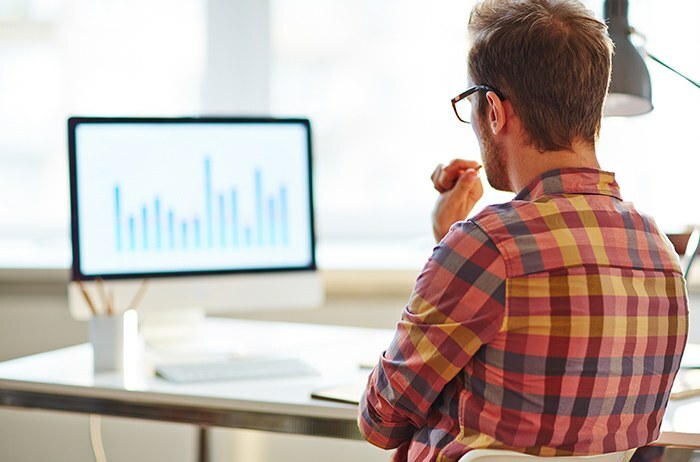 Since traditional reports have often been designed according to user requirements developed before modern BI capabilities were largely available, this is a good time to work with the audience for reporting to give them best-in-class analytics. As key use cases are built with your modern platform, you may continue to solidify processes around reporting, governance, maintenance and monitoring, etc., begin working with reporting, dashboard, and data source prototypes, and kick off user training. The final phase is for validation during a coexistence of your traditional and modern systems. As users will ramp up on your new modern solution, you should expect them to validate that it not only meets their reporting needs, but that visual, self-service analysis offers new insights to their data and benefits to the business. Ideally, you’ll sunset or scale down your traditional platform as you reach the maintenance contract renewal period. When determining a deployment scenario and strategy, it’s not uncommon that organizations start small. Depending on which BI systems are centralized or used across multiple departments, the modern migration may begin with a certain department or an implementation for a specific use case that spans a few departments. The deployment can evolve and expand from there once initial successes are captured and communicated. If it’s not viable to take internal resources away from their work or you don’t have the right skills to confidently manage the migration, you may decide to work with an SI or consulting partner during the migration and leverage their expertise in modern BI migration. With the right understanding of your needs and a solid framework, an industry expert doing the heavy lifting may prove to be a better option for your organization for overall costs and timing. For more considerations when moving to modern BI, see our webinar series Embracing the Modern BI Evolution.